Thick, fiery, zesty sauce for adding tropical flavour to salads, dips, soups, fish, poultry and other meats. 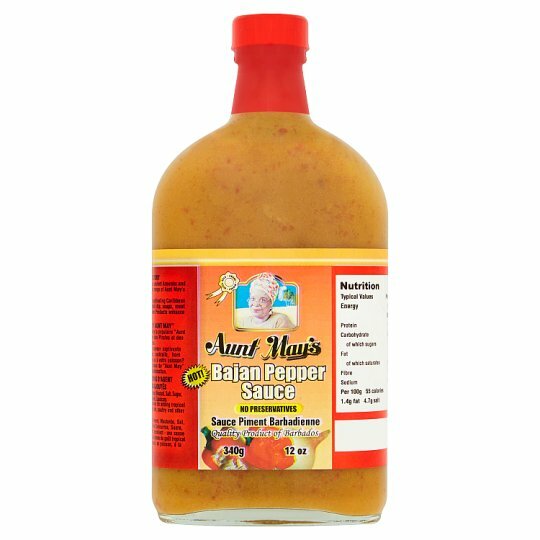 From the land of fierce pirates, ancient Arawaks and Carib tribes comes the popular range of Aunt May's Exotic Island Food Products. Whenever you wish to add a captivating Caribbean taste to your bar-be-que, cocktail dip, soups, meat or fish, Aunt May's Home-made products enhance the flavour of every dish.